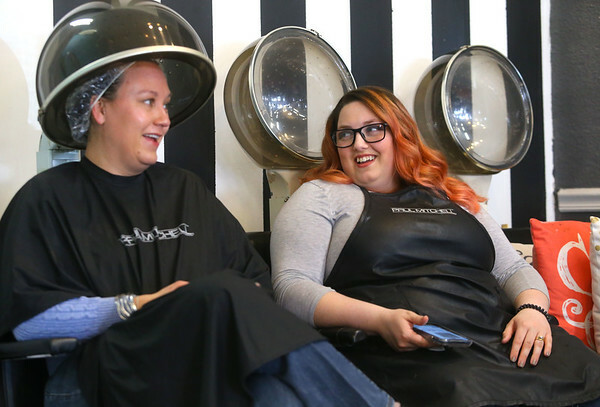 Rebeckah Reichert, right, chats with her client Sharon Breitenbach as she sits under the dryer at Terrie and Co. Salon in Peru. Reichert, who was recently hired as a hairstylist by the Peru salon, is 80 percent deaf and fluent in American Sign Language.